Goldie and Del Naja are close friends, and Del Naja was a prominent graffiti artist even before he joined Massive Attack, so the theory does seem to check out. Banksy has even cited Del Naja as an “influence” on his work, forming a perfect circle of ego. 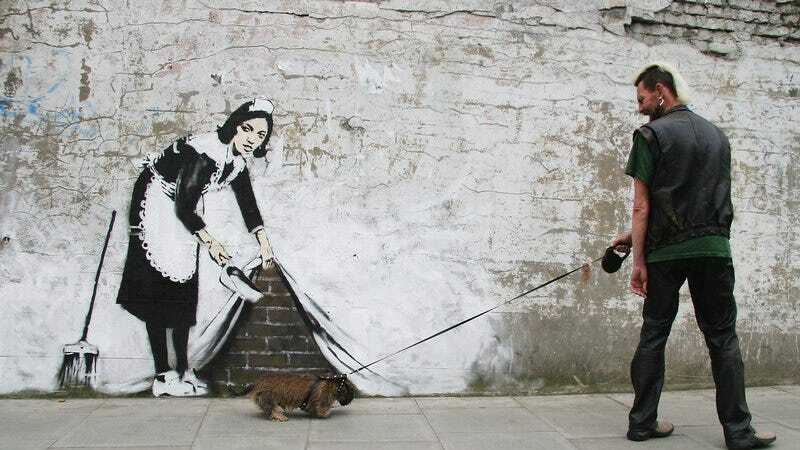 Of course, it’s also possible that the “slipup” was a calculated attempt to divert the attention from the real Banksy. But Goldie seems caught off guard and changes the subject shortly after mentioning this mysterious “Robert,” so if that’s the case, he’s a very good liar. You can hear that bit of audio for yourself here.